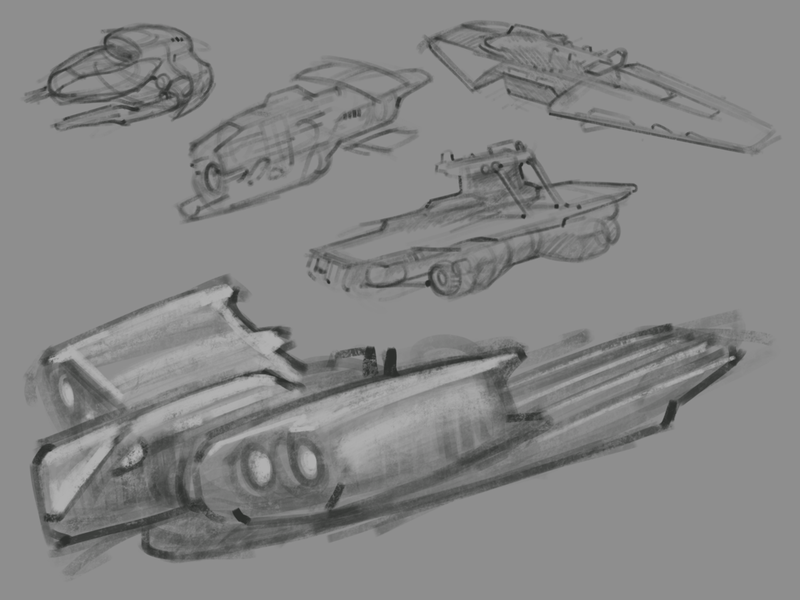 A page of thumbnails spiraled into a series of funky looking gunships - culminating in this 5 winged weirdo seen here. 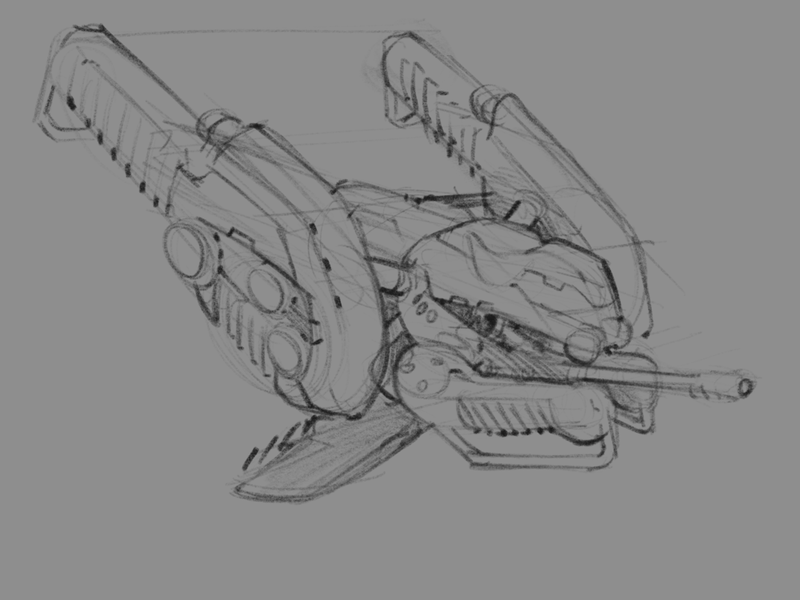 When i stepped back, the compact shape kinda felt a bit more Ikaruga than i intended. 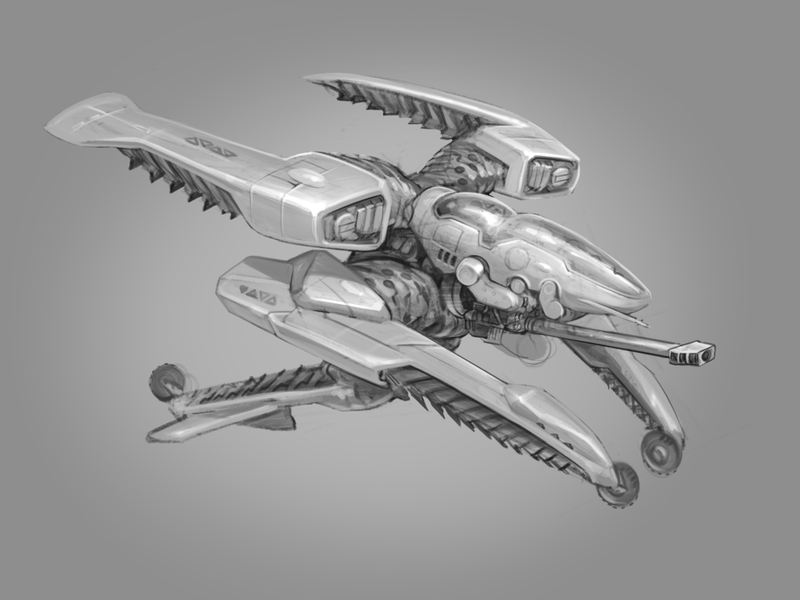 The 5 'wing' design sketch that lead to the one above.